What you can expect to see when you get the update, is different interface fonts, slightly revised controls and some new iconography. There’s also some fresh new colors here and there, too. But that’s about it. 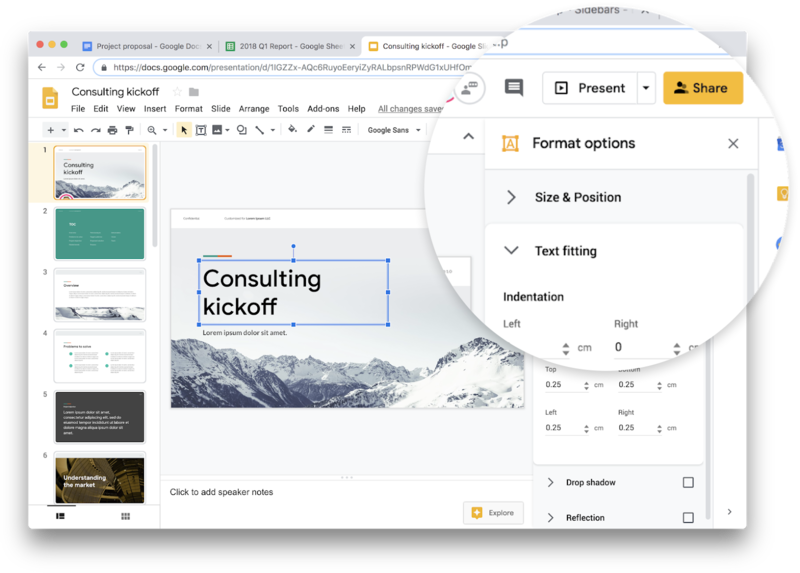 Google started the rollout of this new design for G Suite subscribers on the Rapid Release schedule today and everybody who is on that should get it within the next 15 days. Those users whose admins are a bit timider and are sticking to the Scheduled Release schedule will see the new design around February 11. Google doesn’t typically say when those features roll out to free users, but chances are you’ll see them within the next month, too. Google has been rolling out updated designs for most of its web and mobile apps over the course of the last few months. Google Calendar was one of the latest apps to get this update and with the addition of the G Suite productivity apps, the company has now mostly completed this project — until it released updated Material Design guidelines, of course.